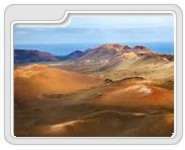 Below you may find the popular parks and gardens in Lanzarote that you may enjoy during your holidays in Lanzarote. Timanfaya National Park is one of the best things to do and see in Lanzarote. The park is a World Biosphere Reserve and consists of several volcanic lava fields and an ochre-colored lunar landscape. The Cactus Garden (Jardi­n de Cactus) is a nice garden located on the outskirts of Guatiza, on the north of Costa Teguise. 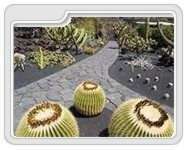 The garden is a popular tourist attraction in Lanzarote and it is also the last landscape monument of Cesar Manrique. There are more than 1,000 species of cactus are on show at the garden.